Eric: I’ve spent the last few months working those pectorals and drenching myself in olive oil. Why? So that I can now sit shirtless at my computer for a proper review of Arena Rex. But what IS Arena Rex? 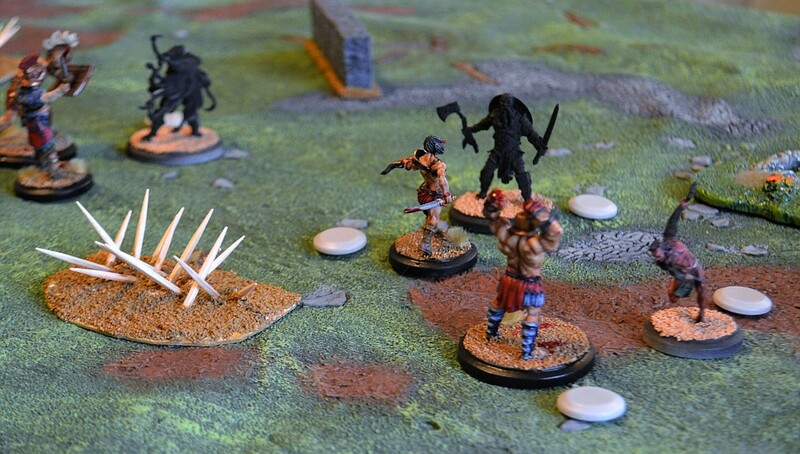 It’s an excellent miniatures game of gladiator combat in a semi-mythological classical world, where your tiny team of just 3-5 fighters square off with their foes in a battle TO THE DEATH! Or, at least, to the filling of the last wound box and the removing of the little resin figure. Thematically, Arena Rex drives straight for the bloody jugular. 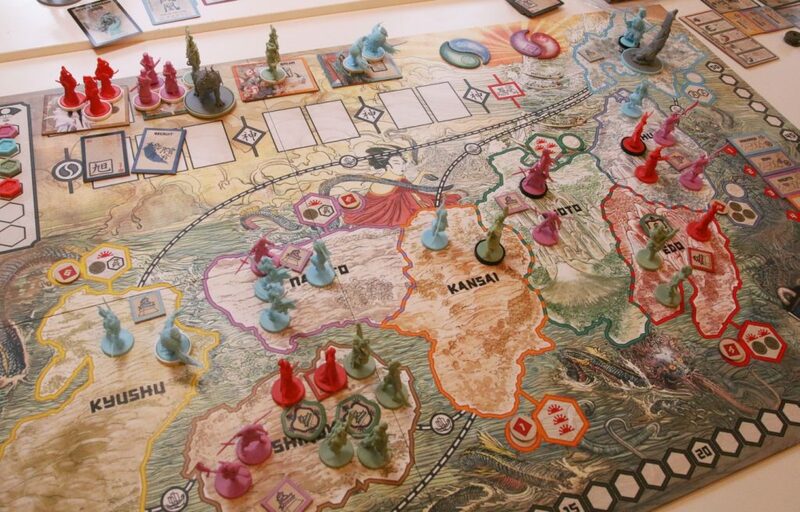 Some miniatures games develop elaborate backstory for their characters and world. Arena Rex largely dispenses with complex worldbuilding and politics in exchange for a series of simple vignettes about how a given fighter was the biggest badass in his/her/it’s world, hence leading it to decide to become a gladiator and become the biggest badass in THE world. Which is a focus that characterizes the game, but we’ll get to that shortly. The figures are a blast to paint – these are Cadillacs of the miniatures hobby experience. Most importantly, you only need a few minis per side to play. Which, honestly, is a big part of why we’re discussing it here. The minis are individually expensive, but buying a group of gladiators is still relatively cheap. It also means you can take your time painting and modeling them, since you don’t have a hundred more muscle-bound warriors waiting for your attention. 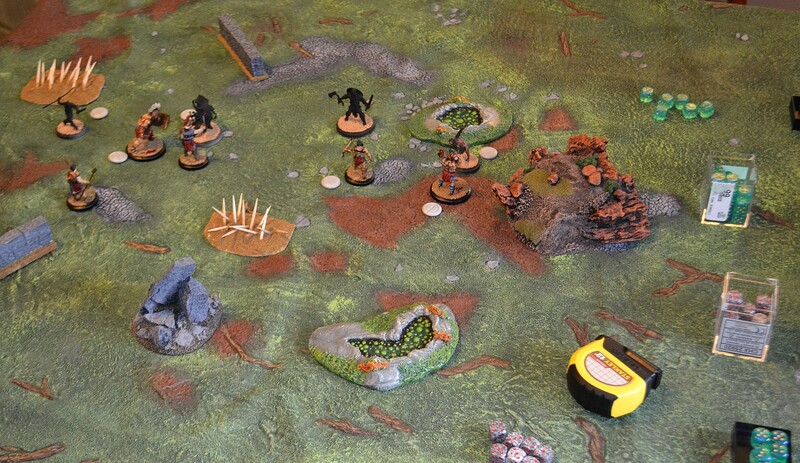 Part of the appeal of skirmish games like Infinity and Malifaux for many is their relatively low bar of entry. Arena Rex takes that bar and drives it into the dirt. Through it’s opponent’s heart. As crowds roar in the background. But I know what you’re wondering. How did I get my muscular chest to look like this? Or, possibly, you’re wondering how the game actually plays. The good news is, Arena Rex has two of the three elements that I find tend to characterize my favorite miniatures games: it is simple, and it is clever. Let’s tackle simplicity first. This is an easy game to learn, and the basic rules are only a few pages. They rely on set dice pools, with each die having a 50/50 chance of being a success or failure. Individual models are also accessible; they have a couple of statistics and 1-3 special rules, and you only have a few of those models to worry about. Powers and synergies are quickly apparent. Add in some basic dice manipulation and resource management in the form of “favor” points which represent the bolstering power of having the crowd on your side, and you have the game. I taught the rules to several non-miniatures-gamer friends and they grasped most of it after only a turn or two of play. Layered onto this simplicity is a pair of very clever mechanics. First is the fatigue system, which causes fighters doing anything beyond basic movement to become tired, or potentially exhausted if they really push themselves. This ties into the reaction system, wherein your figures can respond to enemy moves with attacks or movement of their own, but only if they aren’t already fatigued. And since you can only recover one fatigued model a turn, and no exhausted models, you can quickly find yourself with no choice but to sacrifice an entire turn to clear them off and refresh them for further combat. The upshot of this system is a constant tension between accomplishing things now and later. You might be tempted to really push your fighters for early blood, but an opponent who has conserved their strength can easily negate you and then viciously respond. There is always a struggle between running hot and taking frequent turns, or a more adaptive approach which never uses your whole force at once. In addition, Arena Rex has a very smart way of handling the basic attack, that building block of miniatures games and other spatial-mathematical abstractions of violence. One of the dirty secrets of these games is that, for all the glittery trappings, the core action usually just involves rolling some dice and then subtracting a number of health from your opponent. That is still here in Arena Rex, but it makes the process immensely more interesting by introducing choices. You see, every character has a damage tree at the heart of their card. Each of these is unique, and each step along the tree equates to one success on the attack. You might choose to translate these successes into brute damage, but you might also sacrifice some of it to do something else – gain some favor with a particularly grisly flourish, say, or push you opponent backward into a pit of spikes or the grasping claws of a wendigo. This is fantastic because it makes the act of attacking interesting and keeps combat a part of the game’s decisions rather than the randomized result of them. However, it also connects to what might be Arena Rex’s main weakness – or, rather, it’s primary limitation. This game does a bloody melee (not to be confused with the cocktail) almost perfectly. That is what it’s all about – smashing your fighters together in a swirl of carnage and audience entertainment. It focuses on that goal like a starving man watching the food channel on TV. As a result, it does hand-to-hand combat beautifully and everything else… not at all. One of the hallmarks of miniatures games, and the third in my triumvirate of favorite features, has traditionally been depth. 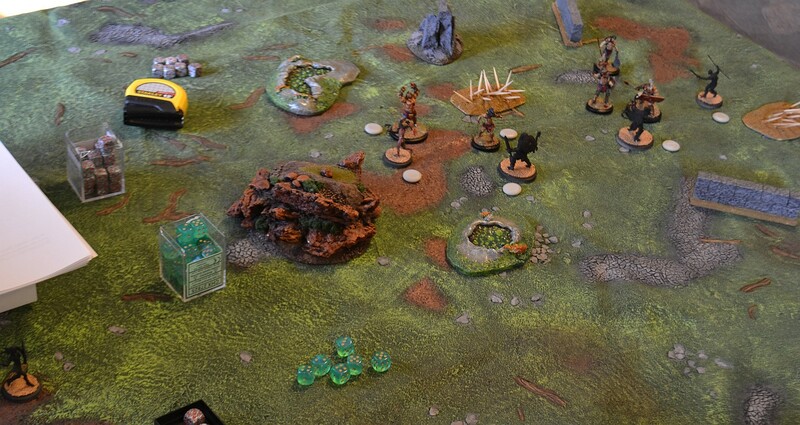 Whether it is the multiplicity of synergies in Warmachine, the complex characters of Malifaux or the delineation of multispectral visor levels in Infinity, most wargames have an immense amount of complexity to master. In the best of them, including all three above, this works not to stymie players but to invite them deeper. You are given a ludicrous toolbox of destruction and free reign to experiment and learn. Arena Rex, rather than a toolbox, largely just hands you a gladius. It has no magic system, no complex rules for list construction, no gear loadouts to customize or long lists of spells to learn. It doesn’t even have a ranged combat system. Is that a problem? It depends. The depth and complexity of miniatures games exist for a reason. 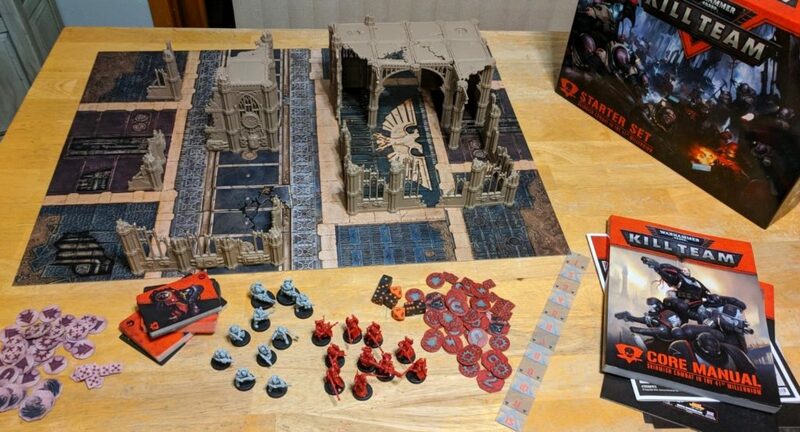 These are immensely expensive games that, if you want to paint and model the figures and terrain, can also take dozens or hundreds of hours of time. This makes sense if the games that accompany this expense can consume similar amounts of time and thought, but many are put off if they don’t. I have several chess-obsessed friends who have bought lavish custom sets; I’ve yet to know anyone who did that for tic-tac-toe. However, this depth and complexity also makes these games hard to enter. Just learning how to build a decent list in Infinity can take hours, never mind figuring out how to run it. I have played Warmachine semi-regularly for more than half a decade and am still not very good at it. What Arena Rex offers is an alternative for those who can’t get over this hurdle. But it’s a near-perfect alternative. You only need a few models, freeing you from the time and expense of building a massive army. 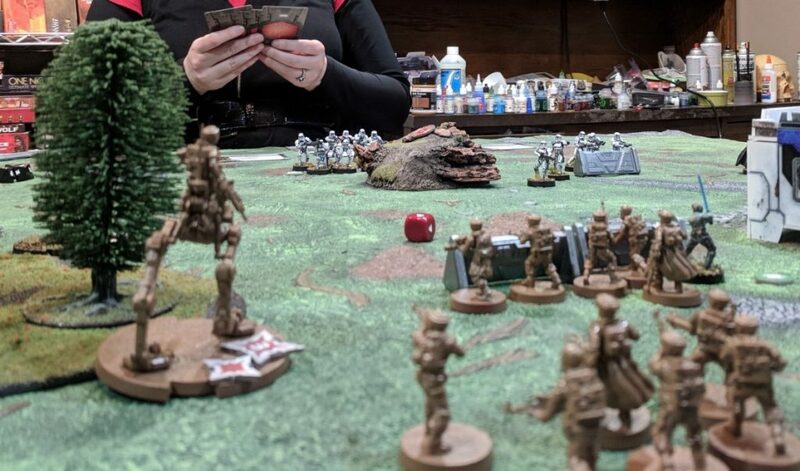 The rules, while relatively simple, still allow for growth in skill, interesting choices, and the unexpected comedy that makes miniatures games so delightful. And the game is fun – if it wasn’t clear from my earlier comments, it creates a dynamic and engaging little fight with real risks and rewards. While I don’t expect it to ever engage my nerdy obsession like some other games have, it’s a pleasure even for someone who does favor more complex alternatives. So should you buy it? Well, if you treat miniatures games like expensive scotch (complex, an aquired taste, and costing enough to make your significant other apoplectic), probably not. But if you’re interested in trying one of these games for the first time, or you just want a shot of something inexpensive with a pleasurable burn, this might be just the drink you’re looking for. Now, if you’ll excuse me, I need to go find my strigil and get this oil off.